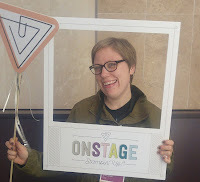 4) the ever increasing acceleration of heartbeat and body temperature as a result of being engulfed amidst the exhilaration and joy of being/having a romantic entity in someone's life. 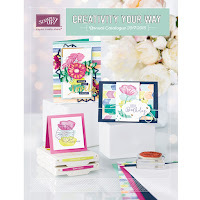 I used the YOU + ME stamp from the 'You Plus Me' stamp set from the Occasions Catalogue. 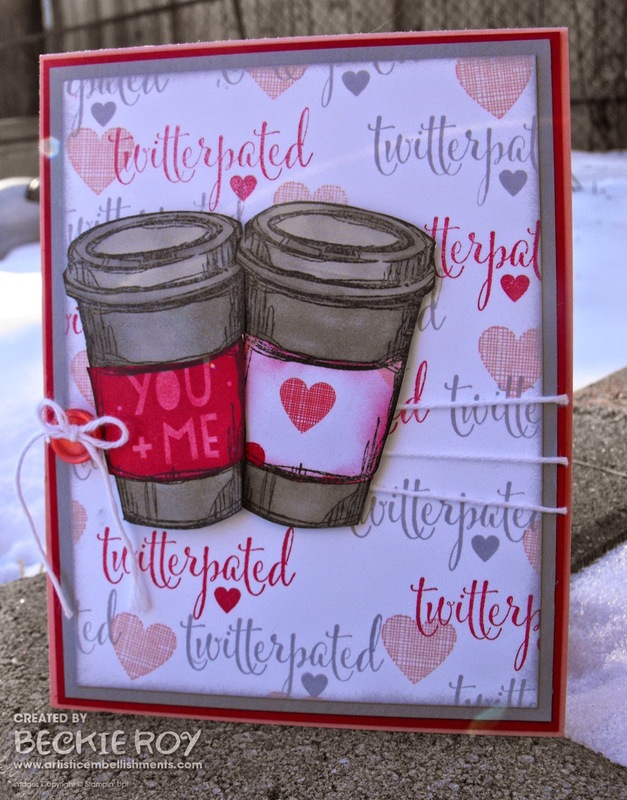 This is another set that is getting a lot of use and not just for Valentine's Day either. 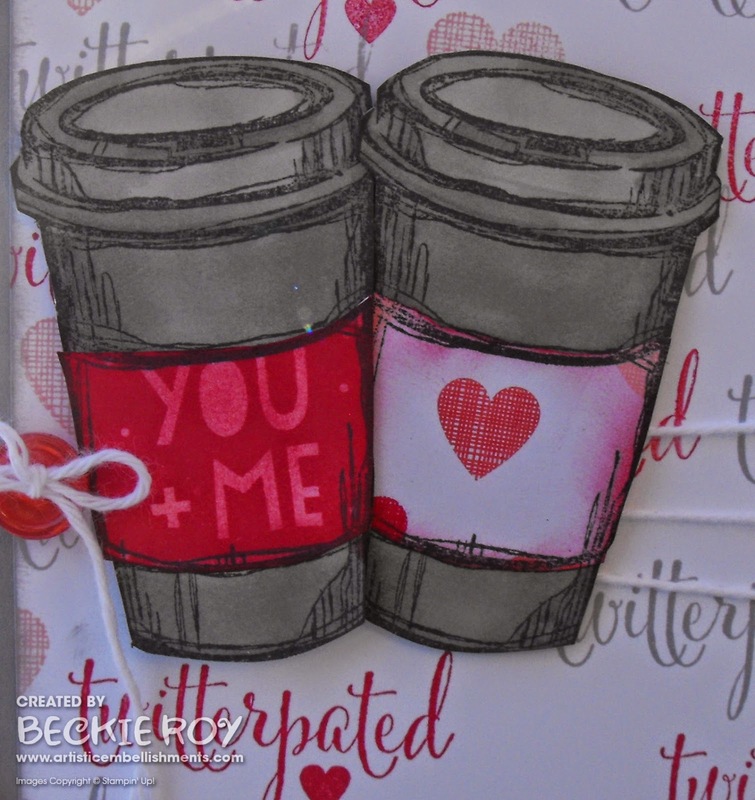 I stamped the coffee cup wrap over the sentiment and cut it out. It was too white, so I sponged a bit of ink over to make it more muted. 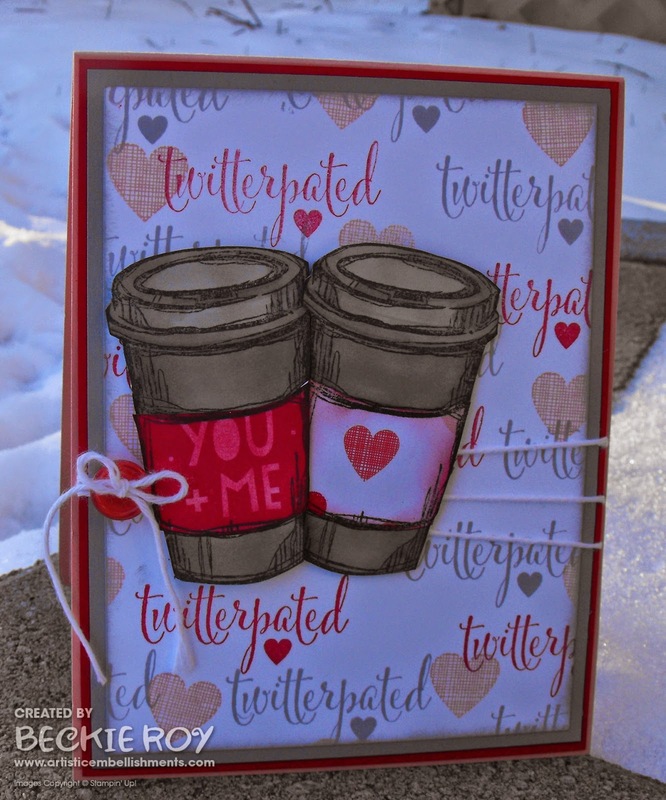 I then stamped the center portion of the coffee cup onto a piece of Stacked with Love designer series paper and cut it out to add a pop of colour to the cup and it coordinates nicely with my background colours. Before I attached the cups, I wrapped some Baker's Twine and used a button from the Best Day Ever Accessory Pack from Sale-a-bration. You can see a closer view of the cups, I coloured with Smoky Slate Blendabilities Markers. 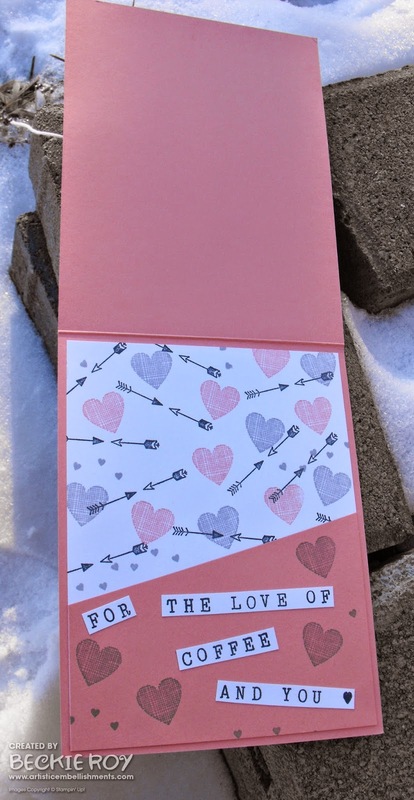 Here is what the inside looks like, which I stamped a bunch of hearts and arrows. The angled piece is for a gift card... for Tim Horton's or Starbucks perhaps! I added a sentiment made with the Alphabet Rotary stamp and added it to the pocket. "For the love of coffee and you". I was so happy with how the first card turned out, I wanted to try another. 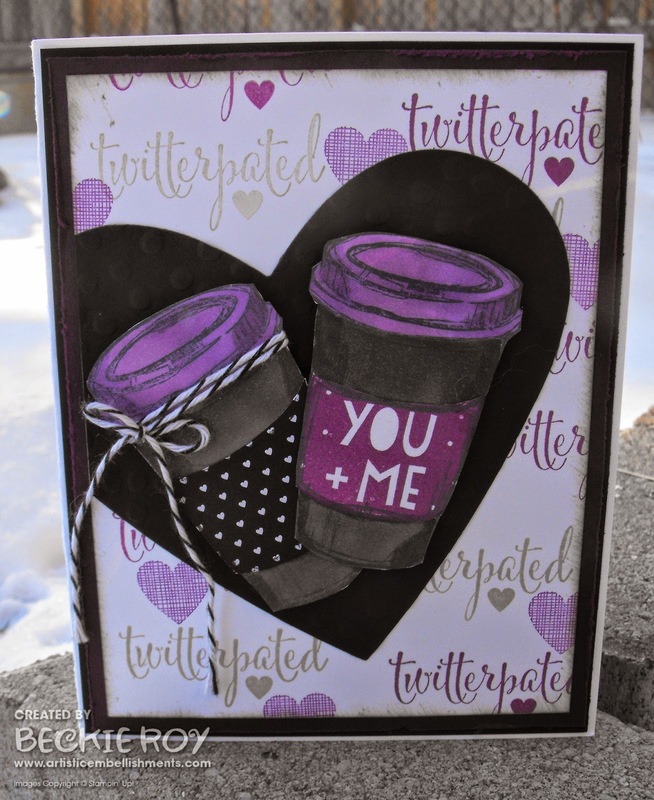 This time I added a heart diecut before adding my coffee cups and used Crumb Cake and Rich Razzleberry inks! I thought they'd fit nicely into the heart shape - they did. I hope you like them and have a terrific day!! !